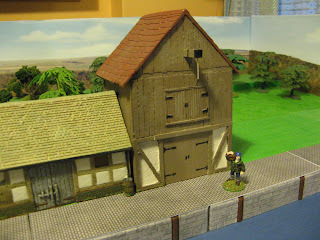 I got out my harbour stone wharf sections and set out a large harbour with suitable buildings. 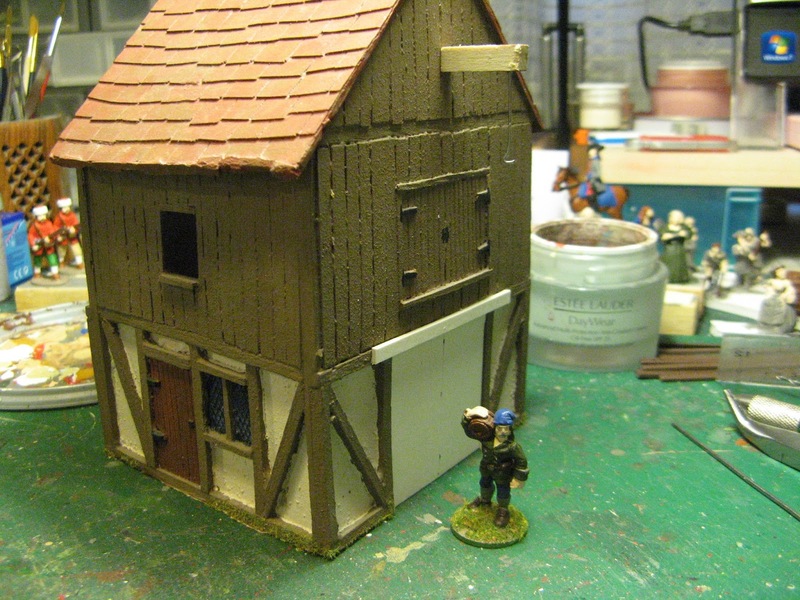 as you can see there are a few gaps on the wharf sides - so I'll be making up some suitable merchants warehouses and in addition a crane of sorts (maybe like the Harwich covered treadmill crane). A few other bits are needed - some extra wooden jetty sections plus some stone edging filler pieces for gaps. One tricky thing will be to ensure I have buildings which can be used for a harbour or riverside wharf for both 28mm and 40mm; to provide a backdrop for story lines and also as game spaces. Looking good Allan, but always post a guard on the warehouse!